On November 1, 2010, we announced the deprecation of the Web Search API. As per our policy at the time, we supported the API for a three year period (and beyond), but as all things come to an end, so has its deprecation window. We are now announcing the turndown of the Web Search API. You may wish to look at our Custom Search API (note: it has a free quota of 100 queries per day). The service will cease operations on September 29th, 2014. Peter Lubbers, a Program Manager in charge of Google’s Scalable Developer Programs, which include MOOC developer training. Peter is the author of "Pro HTML5 Programming" (Apress) and, yes, his car's license plate is HTML5! At Google I/O, we launched four new Udacity MOOCs, helping developers learn how to work with Android, Web, UX Design, and Cloud technology. We’re humbled that almost 100,000 students signed up for these new courses since then. Over the next two weeks, we’ll be hosting on-air office hours to help out students who are working through some of these classes. Ask your questions via the Moderator links below, and the Google Experts will answer them live. Please join us if you are taking the class, or just interested in the answers. You can find all of the Google Udacity MOOCs at www.udacity.com/google. By Peter Lubbers, a Program Manager in charge of Google’s Scalable Developer Programs, which include MOOC developer training. Peter is the author of "Pro HTML5 Programming" (Apress) and, yes, his car's license plate is HTML5! At Google I/O we announced Google Fit: an open platform for developers to more easily build fitness apps. Today we’re making a preview SDK available to developers so that you can start to build. 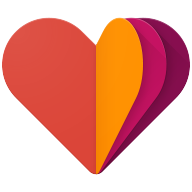 Google Fit provides a single set of APIs for apps and device manufacturers to store and access activity data from fitness apps and sensors on Android and other devices (like wearables, heart rate monitors or connected scales). This means that with the user’s permission, you can get access to the user’s fitness history -- enabling you to provide more interesting features in your app like personalized coaching, better insights, fitness recommendations and more. To get started, download the updated version of Google Play services containing the Google Fit APIs for Android in the Android L Developer Preview Nexus 5 and Nexus 7 system images. Use the Android SDK Manager to download the Google Play services client labeled "Google Play services for Fit Preview". You can start developing today using local fitness history on the device — the cloud backend will be available soon. Join the Google Fit developer community on Google+ to discuss the Preview and ask questions. For additional resources and more information about Google Fit, check out the Google Fit developers site. The preview SDK gives you the tools to start building your app. You’ll be able to launch your app later this year when we launch the full Google Fit SDK as part of Google Play services for handsets, Android Wear and also for the web. We’re excited to see what you can come up with to make fitness in a connected world better. Angana Ghosh is a product manager for the Google Fit team.